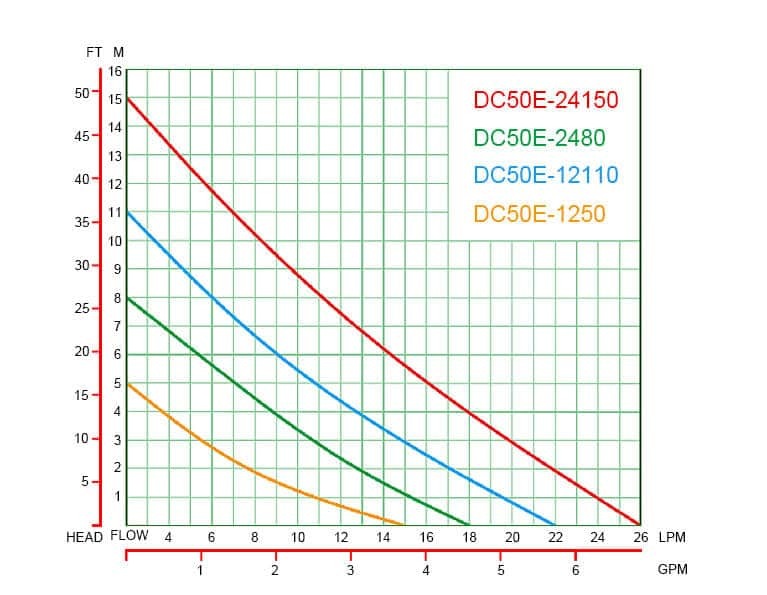 DC50 Series has three sub-series and many sub-models. Sub-series “T” has same theory as DC30 Series and DC40 Series. Sub-series “S” and “A” used the most advanced sensorless control technology instead of Hall sensor. We called this technology as “DC three-phase”. 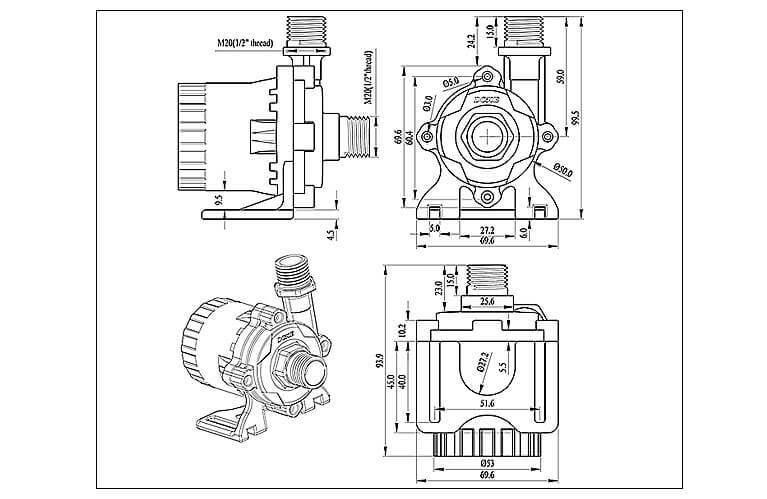 “DC three-phase” use same general DC power source as other DC water pumps. But it put all the circuit board out of the pump body, in an independent control box. 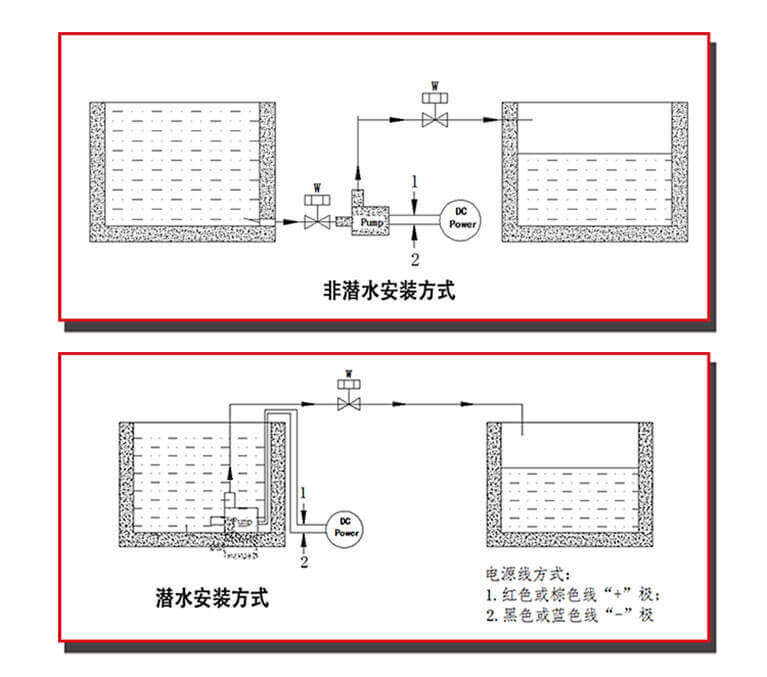 So the pump could resist higher temperature, the pump could use higher current. Then it could achieve better performance. At the meanwhile, the pump could be added many complex program control functions and could resist higher environment temperature. Sub-series “S” and “A” used soft start with low in-rush current, it is great for the solar system.